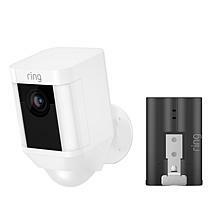 Complete the Ring of security around your home with this whole-home security solution that links to all of your Ring video doorbells and security cameras. The alarm is fully customizable, and expands to fit any size apartment or house. You'll receive instant alerts whenever the armed doors or windows are opened or when motion is detected in your home. 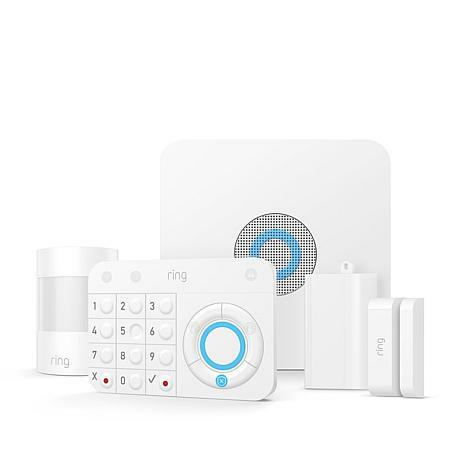 You can opt for professional monitoring, and it's all controlled by one simple app - it's smart and simple security to surround your home with Ring. Weight: Base Station - Approx. 1.18 lbs. Love it. So easy to set up & use. Would totally recommend. 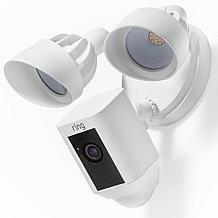 I was forced to change my security system and after research i chose Ring. We already had the Ring doorbell and love it. I was so glad to see Ring had a security system. The best part is you do not have to pay a monthly fee. That is what i was looking for. If anyone is in doubt, go for it !!! I was skeptical about this at first, and when it arrived it was easy to install and it works great with the internet I have and its saving me money versus the home security I did have and does the same thing. It was a purchase worth making. I recommend it. The Ring Alarm is the best DYI alarm system. 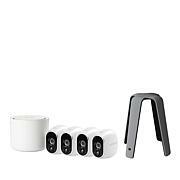 The Ring Alarm is easy to install and you can expand it yourself over time. The Ring support and customer service is great. The $10 monthly plan all are professional monitored. My home is protected. Great system, does all and actually more than my prior system. Installation was easy and controlling on my iPhone is a snap. I would highly recommend this product. Remind me about Ring upcoming shows.